slaughter | Are there chicken sheds in heaven? 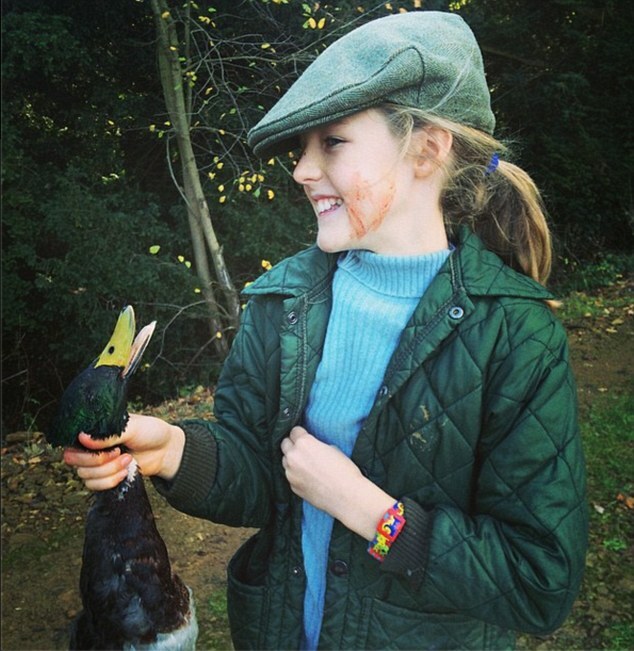 Susannah Constantine has caused outrage by posting a picture of her ten-year-old daughter Cece proudly clutching a dead duck and with her face smeared with blood to mark her first kill. I’ve been reading all the various reactions from people and mostly the debate has developed into whether or not you should be honest with your children about where meat comes from. And this is missing the point entirely. 1. How much of the meat that you eat on a daily basis was killed on a country estate by posh people for ‘sport’? The odd pheasant casserole possibly if you’re in the 1% of the country that takes part in these country pursuits but otherwise basically none of it. So if ‘education’ is really what this is all about then you would presumably be as keen to take your kids around a slaughterhouse, a factory farm or a chicken shed? No I thought not… The reality is slightly less palatable isn’t it? 2. Of course you should be honest with your children about where meat comes from – but not if you’re feeding them totally incorrect information. Not if your moral compass is completely out of whack. I was told from a very young age where meat comes from (I was raised on a small farm) but I never witnessed it. The closest I came was when mum insisted we stay inside whilst dad strangled all the chickens that had stopped laying eggs so were now ‘surplus to requirements’. Funnily enough, my parents weren’t shuffling us into ringside seats for this barbaric spectacle. Alongside my education of where meat comes from I was also told that these animals were put here to feed us – that that was their purpose, their raison d’etre. I was told that we needed meat to survive and that is was an entirely natural process. What total nonsense! 3. I was certainly not told the whole truth. How most animals in the world are kept in horrific concentration camp conditions for their entire lives before being needlessly slaughtered at a dismally tender age. I wasn’t told what happens to every single male chick born to the egg industry – minced alive at less than a day old by thousands. I wasn’t told what happens to the dairy calves that aren’t wanted for veal – killed within the first week as ‘by-product’ of the dairy industry. And I certainly wasn’t told that I could live a perfectly happy, healthy, compassionate life without ever having to eat, wear or use any animal products ever again. So if the person guiding you through life’s moral maze is a member of the third reich and is telling you that it’s ok to gas someone because they are Jewish it’s probably not the kind of education I’d be wanting for my kids and its certainly not a defense to say that at least their being honest! A child is incredibly easily influenced by what their parents say, as we all are by people in positions of authority to us, which is how otherwise decent human beings throughout history have been coerced into doing horrific things under the misguided guise of ‘doing the right thing’. Teaching children that it’s ok to kill animals for sport or food is not okay in my book. It’s wrong, it’s confusing, it’s deeply irresponsible and it’s dangerous. If we want to raise the next generation of children to be compassionate, free thinking, rational individuals then we need to start being honest about how inexcusable it is in this day and age to consume any animal products of any kind. There were 2 big stories in the news last week which demonstrate how utterly arbitrary, hypocritical and deluded our morality is when it comes to animal ethics in this country. 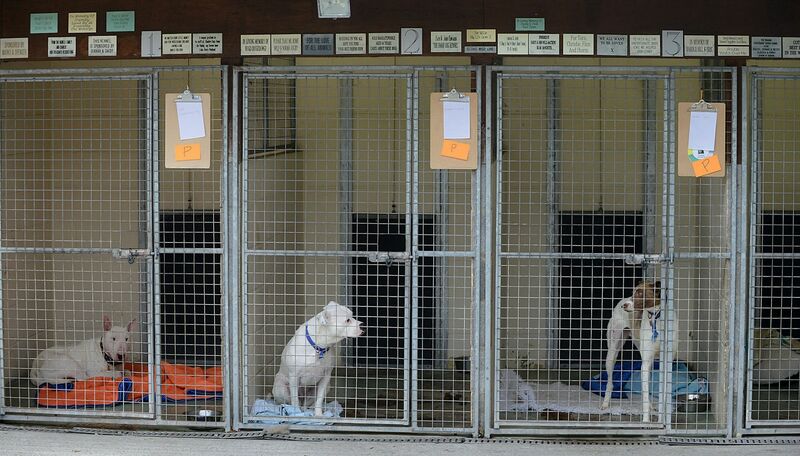 Firstly there was the appallingly cruel arson attack on a Manchester dogs home in which 53 dogs died. This story became bigger news for the fact that people were so moved by this deeply upsetting story that a JustGiving page was set up and donations flooded in from all over the world, exceeding £1.3 million in less than 3 days. Staggering. Heart warming. Amazing. 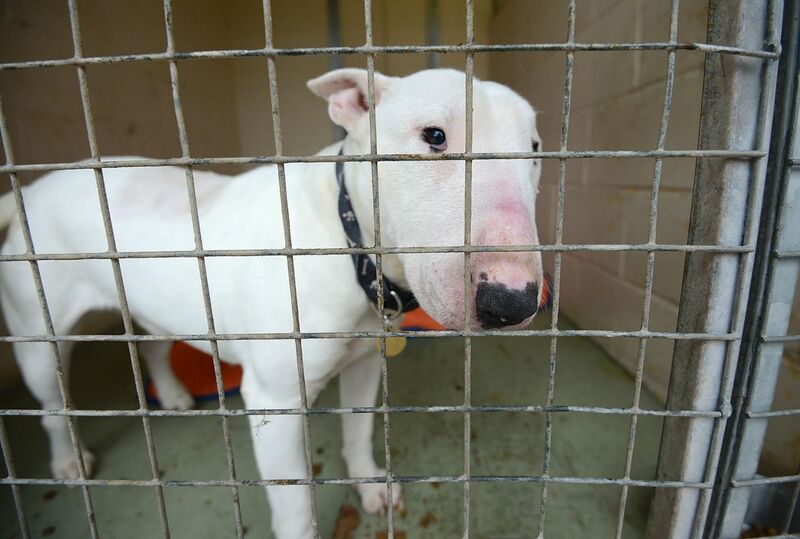 It goes to show how deeply people care about dogs – even dogs that have been left unclaimed in a dogs home – dogs that would largely have been pit bull terriers and Rottweilers and other such breeds. Breeds which are at the less ‘cute and cuddly’ end of the doggy scale. And still people are enormously upset by the idea of these dogs suffering such a painful and frightening death. In contrast, on the same day, there is a story about a cull that had been carried on miniature pigs and piglets in the Swansea area. Over 100 micro-pigs were culled by a licensed professional. “These animals presented a serious risk to other livestock in the region in the event of a disease outbreak, and because of this we were left with no option but to carry out a cull,” said a spokesperson. What a load of horseshit! The only threat these animals could possibly offer is if they come into contact with farm bred infected pigs as they could then spread the disease. Why on earth should these wild pigs pay the heaviest price for the farmers carelessness. If the commercially bred pigs weren’t harbouring disease in the first place then there wouldn’t be a problem. It’s exactly the same story with the badger cull and TB. The farmers should ensure that their cattle don’t get TB and if they do then they should pay the price. They shouldn’t be farming cattle in the first place as far as I’m concerned so I’m afraid I have little sympathy. If culling innocent badgers is their solution then they clearly it’s a non-starter of a business model! These same farmers who claim to be animal lovers were the ones who put pressure on Swansea Council in the first place to carry out this appalling cull. Yes, some farmers may care about their livestock, but as soon as something might get in the way of their profit margins, you see where they really stand on animal welfare issues. The slaughter of these innocent, healthy and harmless pet pigs amounts to an atrocity that should be totally unacceptable to an educated and caring society. Whilst doing my research into the British meat industry, this is something that really hit me and made me question how justifiable eating meat could possibly be. Like most people, I always thought to myself that farm animals had long, happy, healthy lives before being sent to a humane slaughter. I think this is something that we all tell ourselves, although deep down we know that all these animals are killed at a horribly tender age and that there’s no such thing as a humane slaughter. It’s murder, whether we think it’s justified or not. But a good life? Can such a short lifespan really ever be considered ‘a good life’? Even if they were living on a 5* luxury farm complete with piggy pedicures and farmyard facials, I still don’t think being slaughtered so young can even qualify as ‘a good life’. Look at the poster below. Take a good look. It’s pretty shocking when you think about it. I know that when I first looked into this I realised that it wasn’t something I’d ever really considered. Even ‘lamb’ – the clue’s in the name right? But even though I knew it was lamb I never really pictured a lamb when eating lamb. It’s amazing what associations we let our minds make and what we managed to ignore or suppress. If a person dies at these equivalent ages (so with a life expectancy here in the UK of nearly 81 years – that would be the equivalent of being killed between the ages of 1 hour old and 9 years old. Hardly what we’d ever term ‘a good innings’ is it? however a happy life a child might have, if that child dies before it’s tenth birthday it’s considered an absolute tragedy to die so young; before his/her life had really even begun; what a waste; how incredibly sad. So how on earth do we justify taking the lives of these animals at such a tender age? We can’t really can we if we really stop to think about it. but somehow we all turn a blind eye and billions of animals are slaughtered every year way way before their time. That’s the real tragedy. Came across this article in the Guardian by Alex Renton from back in 2010 whilst researching whether or not I should take kids along to watch a lamb/pig/chicken be slaughtered…. It demonstrates my quandary entirely. I don’t tell my kids what to eat. When I’m cooking for them, they eat a vegan diet because that’s what I buy and that’s what I’m having. When they’re at school or friends houses and we’re out in a restaurant or café they can have whatever they like. I figure that, as parents, so long as I equip them with the necessary knowledge and information to make their own decisions in life then that’s my job done. But this is easier said than done. When it comes to eating meat, dairy and eggs – what is the ‘necessary knowledge and information?’. Should I take them for a tour of the local slaughterhouse on Saturday? Should I make them watch a day old calf being dragged away from it’s mother and shot so that we can have its milk. Should I sneak them a peek inside a stinking, rotten hellhole of a chicken shed stuffed full of 30,000 chickens? Should I invite them to watch the live baby male chick maceration process…? Probably not something a 3 and 4 yr old wants to see. Probably not something any adult wants to see. But then if we shelter our children from these things; these everyday things that are absolutely integral to the meat and dairy industry then are we really doing our job? Are we not creating a generation of ignorant, naïve, misguided children who will go on merrily eating meat without understanding the effects their food choices have on the animals they choose to eat, take milk from or farm for eggs. If, as the article above linked to demonstrates, the reality of eating meat is something we want to hide our children from, then does that not tell us all we need to know about whether or not meat should be on the menu at all…?